The Today Guide is an excellent resource when you’re in the park. 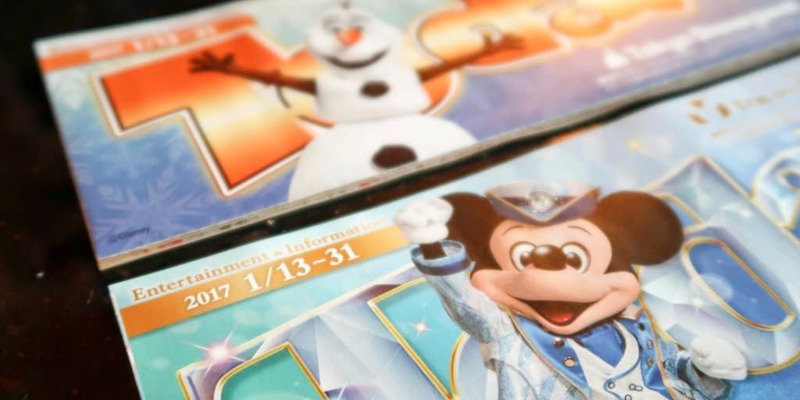 It’s full of useful and latest information about merchandise, food, and the events happening at the parks. There’s only one small problem, it’s available only in Japanese (English guides are not this detailed). This is where we come in. In our recent Facebook Live, I take you through each guide at Tokyo Disneyland and Tokyo DisneySea for January 2017 and explain everything for you. That way you’re more than ready when you visit the park this month! You can watch the video below or follow this link. Pair this with the English guides and you’re set. When you’re in the park, you can ask a Cast Member to help you as well! I messed up the orientation at the beginning, but I corrected it once I noticed 🤣. Very interesting, thank you! Perhaps a monthly feature? I can imagine this will be incredibly helpful when we go in June. Great vid guys.. please do these monthly! Looking forward to an Easter review, we’re heading over in April.